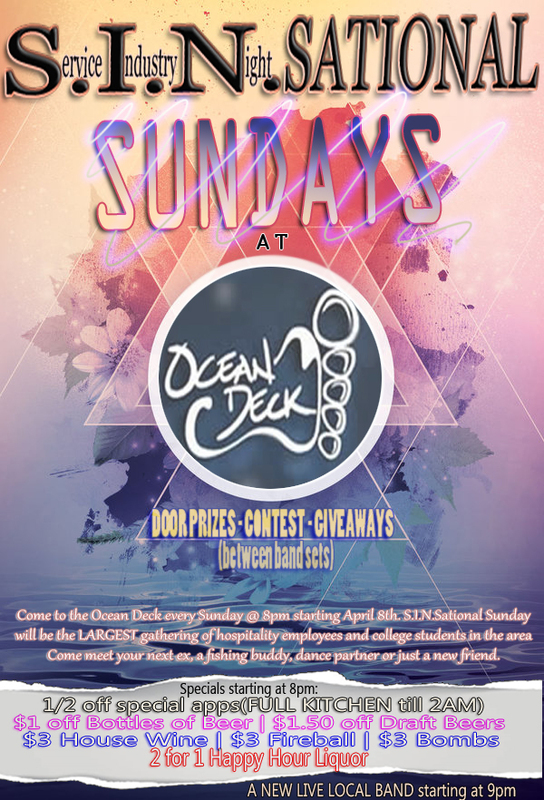 Come to the Ocean Deck every Sunday at 8pm! S.I.N. Sational Sunday is the largest gathering of hospitality employees (Service Industry Night) and college students in the area, but EVERYONE is welcome! Live band every night starting at 9! Door prizes and Giveaways! 1/2 off special apps. Full kitchen till 2am!